I believe, that for most of you it was quite familiar.. 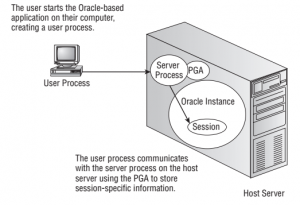 In Shared Pool there is a special place called Library Cache…Querying for SQL_TEXT, for Execution Plans, for statistics from query execution , is querying of Library Cache..
Why it is so important to understand thing like that ? .. It’s simple.. to make you understand, when DBA tells you “you are overwhelming Shared Pool” .. Or you do to many Hard Parses. 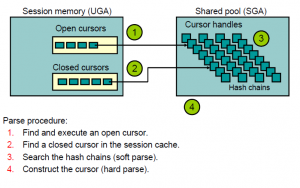 Allocating memory must be protected by Latches , not to allow allocation of the same memory for different sessions/cursors. 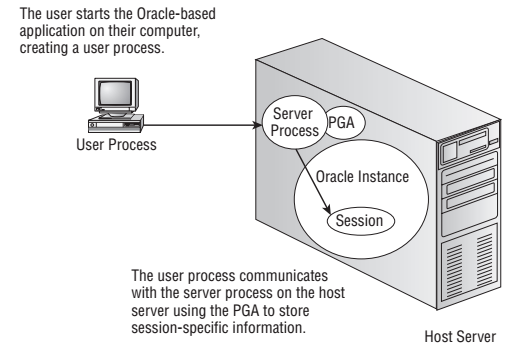 As you can see parsing is quite resource and time consuming operation..So the most efficient way to work with database is to share already parsed cursors among sessions that issue the same Query, not to allow parsing to happen.. And keeping them in memory as long as possible. Remeber…parsing uses memory, cpu cycles, and all the operation on memory structrures demands Latches, and Mutexes (another lightweight serialization mechanizm) for search and execution operations…And these are serialization points..So smaller shared pool, less serialization and less resources usage.. So how it works ? Hope…Now You know, why sharing Cursors is so important and resource consuming.. In some systems with Huge Shared Pool, internal work on allocating/deallocating memory, latching, searching for Cursors causes the systems to Hang or being not responsive ! So , now it is time to come back, to what is interesting for You directly … Fun with parsing, cursor sharing, observing what execution plans are created and why … So Part 3 will give you some information about Bind Variables Peeking, Adaptive Cursor Sharing, Result Set Cache. 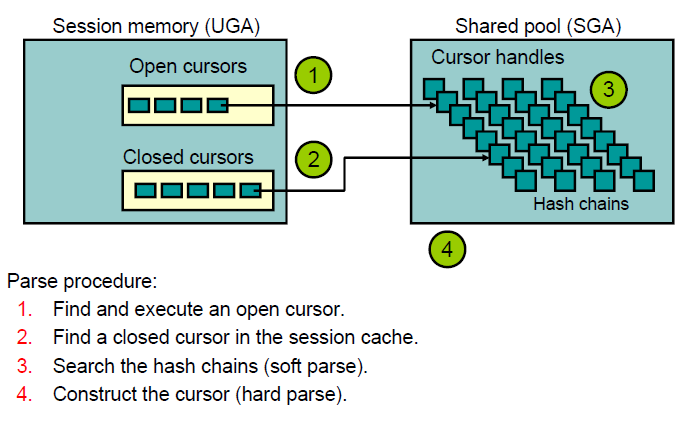 The shared pool is managed by an LRU algorithm. • New objects require memory allocations. • Re-creatable objects are aged out of the cache. • Objects are made up of chunks of memory. • A memory allocation is a whole chunk. • A chunk is contiguous. • LRU operations are protected by a latch or mutex. 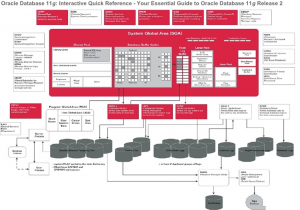 This entry was posted in Oracle DBA, Oracle DBA Advanced, Oracle SQL Tuning, Oracle SQL Zaawansowany, SQL and tagged library cache, shared pool, sql parsing, sql tuning. Bookmark the permalink.